Abbey Browning is a junior majoring in Interior Design. She fell in love with Alpha Xi Delta because of the genuineness of our sisters and the people she talked to. She believed in our philanthropy whole-heartedly and felt it allowed her to be who she was without judgment. Being a part of AXID has allowed her to grow in flourish in ways she never imagined. 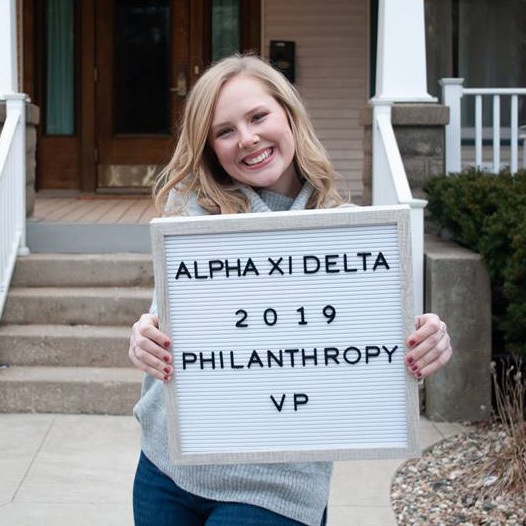 As president, she wished to make a positive impact and push all the amazing women in our sorority to be the best versions of themselves – "because together, we can do such incredible things". Nicole Martin is a junior majoring in Psychology. 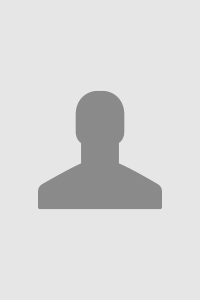 Her main focus is her friends and her family, which would make sense that she wishes to own a Marriage and Family Therapy business so that she can spend as much time with them as possible, all while changing and helping the lives of others. What drew her to choose Alpha Xi Delta was the abundance of unique, talented, and inspiring women that this sorority was filled with. She says that AXID is a place of no judgement, a place where you have the freedom to explore who you are without fear of failure. As Membership Vice President, she hopes to achieve a continued advancement in the logistics and aesthetics of recruitment to ensure that we recruit women who fit our values and will be great contributors to our chapter. Bella Patel is a junior majoring in exercise science. After that she wishes to spend the next few years of her life going to grad school somewhere sunny and warm. Her favorite thing about Alpha Xi Delta is our diverseness. She says AXiD is not your "basic cookie-cutter sorority." We all come from different places, have different stories, and different hobbies, which is something Bella really admires about our chapter. Madeline Frick is a currently sophomore studying all things biology and physical therapy. Her wish for the future is to live a happy and fulfilling life while doing a job, hopefully in physical therapy, that she loves. After high school, Maddy and her best friend parted ways and went off to different universities. 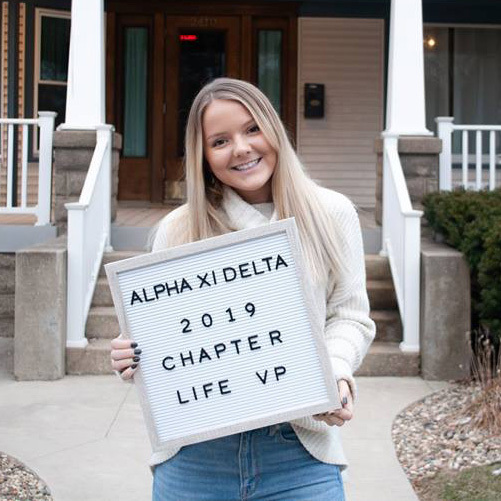 AXID was her way of building new connections and finding meaningful relationships that’ll last her a life time. And fun fact – her brother is nine years younger than her. Hannah Nelson is a junior majoring in Social Work with minors in Family Services and Mental Health. 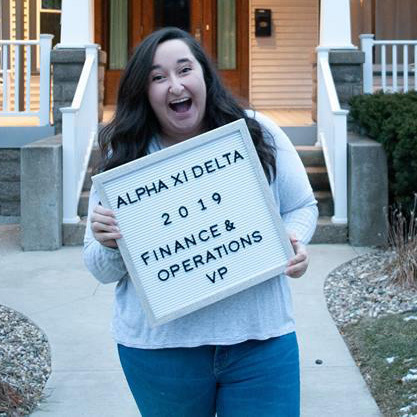 She came into her freshman year of college looking for friendship and leadership opportunities and she found just that with Alpha Xi Delta. Joining Greek life has pushed her to step out of her comfort zone and take on many different leadership titles, such as being a Rho Gamma. Throughout her journey, she knew she could always rely on her sisters for support and advice whenever needed. 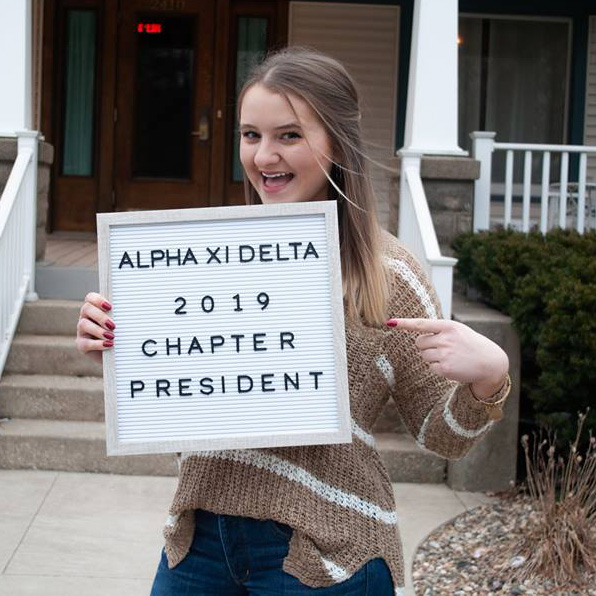 With her current position as Chapter Life VP, she is looking forward to watching new members grow in the chapter and undertake their own journeys in Greek Life. Maddie Crichton is a Junior Elementary Education major with a Literacy minor. 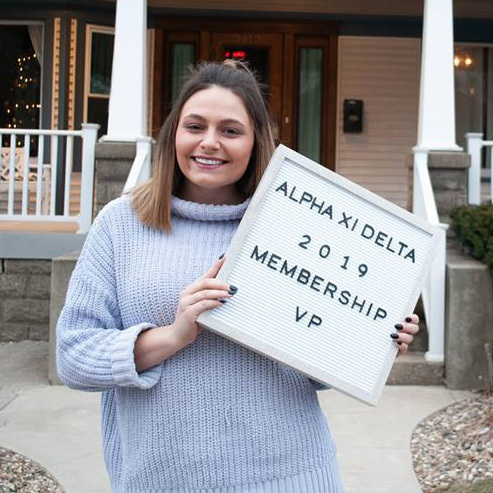 When she came to college, she wanted to find a place that felt like home when she walked through the doors of the Alpha Xi Delta house and knew she knew that it was exactly where she was supposed to be. The kindness and genuineness of this chapter is what makes her realize her full potential. Maddie is extremely eager about being Philanthropy VP and cannot wait to add a new sense of excitement and passion to our events. And fun fact – she has a pet chinchilla. Caroline Hunkele is an Elementary Ed Major whose biggest passion is learning and having access to a quality education. In the future, she wishes to increase the excitement of learning in her students in her own classroom. Caroline’s favorite part but AXiD is the sisterhood. She says that, “Having this support system is truly amazing”. With her new position she hopes to achieve a well-balanced sorority and making sure all of her sisters are able to do what they set out to do! And fun fact – she’s the only one in her family that was born in a different state than the rest of her siblings. Lauren Scholbrock is studying Health Sciences and Nursing. 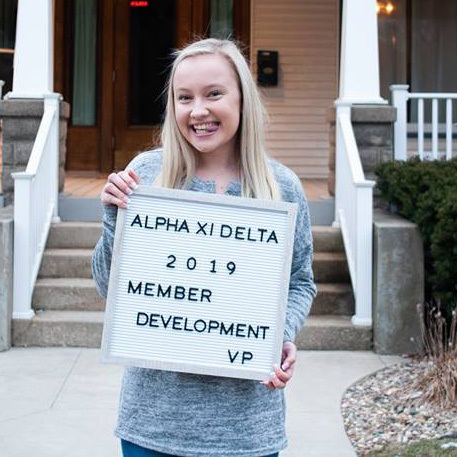 The reason she chose AXiD because she felt an immediate connection with the sisters and felt that she could always be myself. She believes that our mix of unique personalities and involvement is what really makes the sisterhood so amazing. 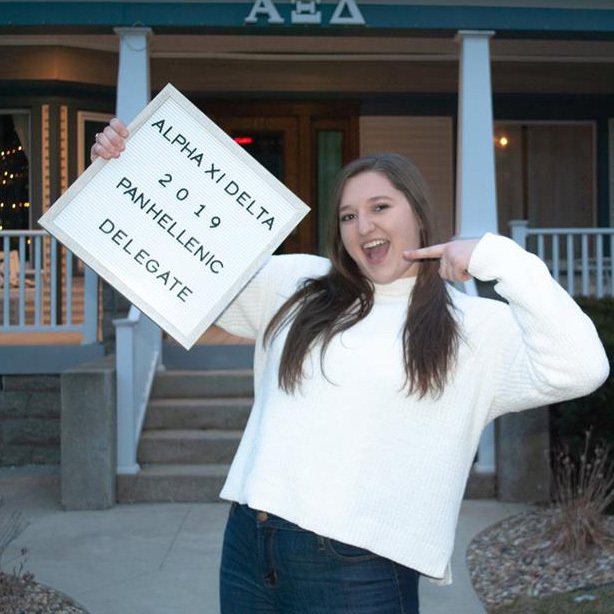 As Panhellenic Delegate she hopes to achieve a greater presence in Greek Life and increase the involvement of our chapter with the Panhellenic Community.